Revamp Fitness is a privately-owned gym in Herkimer. With the need for a clean gym in Herkimer, Revamp was created as a boutique style fitness center – a smaller and less intimidating space than chain and corporate gyms. With an aging population, and millennials becoming more health conscious, the offerings of health clubs in Herkimer was bleak. Revamp Fitness was created in hopes to bring a modern, fresh and clean approach to fitness and gyms in Herkimer, New York. With emphasis on customer service, we strive to make lasting relationships, provide a unique workout experience, and provide a state-of-the-art facility for the community and visitors alike. 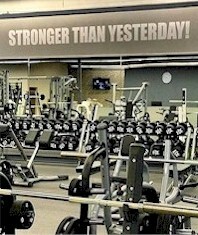 You won’t find a better gym in Herkimer, or a more clean gym in Herkimer, we GUARANTEE IT!